Fiona Sweeney wants to do something that matters, and she chooses to make her mark in the arid bush of northeastern Kenya. By helping to start a traveling library, she hopes to bring the words of Homer, Hemingway, and Dr. Seuss to far-flung tiny communities where people live daily with drought, hunger, and disease. Her intentions are honorable, and her rules are firm: due to the limited number of donated books, if any one of them is not returned, the bookmobile will not return. But, encumbered by her Western values, Fi does not understand the people she seeks to help. 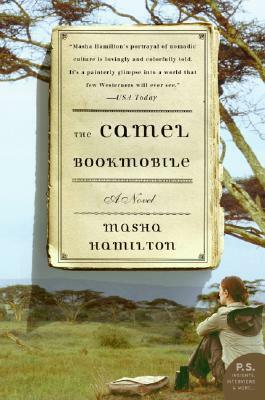 And in the impoverished small community of Mididima, she finds herself caught in the middle of a volatile local struggle when the bookmobile's presence sparks a dangerous feud between the proponents of modernization and those who fear the loss of traditional ways. A journalist who has worked for NBC Mutual Radio, the Los Angeles Times, the Associated Press, and other well-known news organizations, Masha Hamilton is the author of The Distance Between Us and Staircase of a Thousand Steps. She lives with her family in New York City. Hamilton presents a rare and balanced perspective . . . using rich and evocative prose . . . Highly recommended.